Museums Australia is the national membership organisation for the museums sector, committed to the conservation, continuation and communication of Australia’s heritage. Established in 1993, Museums Australia is an advocate for museums and galleries, their collections and the people who work in them. 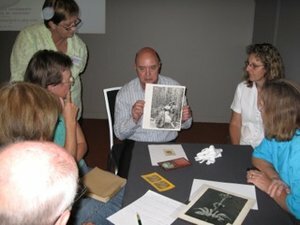 Museums Australia – New South Wales Branch (MANSW) is a part of this network of museum and heritage professionals and institutions committed to working to develop, conserve and increase access to the wider community’s heritage and knowledge. MANSW consists of an elected committee and 10 regional chapters that provide mutual support, advocacy and collaboration across the state for small and large museums, galleries, keeping places, libraries and archives. MANSW works in partnership with the peak bodies and organisations who are also committed to providing the vital services and support to the hundreds of museums, their staff and volunteers. The membership of MA is instrumental in the development, implementation and maintenance of the core standards, policies and practices that are used in museums across Australia. This collective expertise and passion for making the national distributed collection accessible to all binds all workers in this diverse, resilient and vibrant sector together. MANSW and its network supports and advocates for its members and all museums. In 2015 MANSW will host the national museum conference in Sydney.